Because many of us feel self-conscious, we don’t always want to work out in a public space, say in a park or a commercial gym. The Brighton and Hove seafront? Lovely, but a little too visible. even. So we have our own Fitness Studio in Hove. 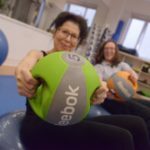 Are you new to exercise? Maybe been inactive for a long period? Consequently, does the thought of exercising under other people’s beady eyes put you off? Since you feel exposed, you may put off exercise for another time, or go off the idea all together. Is this you? Don’t worry. 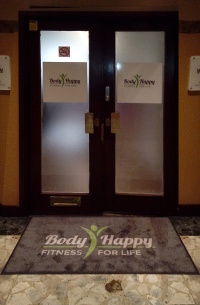 First of all, Body Happy has a fully equipped private fitness studio in Second Avenue, Hove. It’s from here that my team and I offer personal training sessions, so nobody can see you. It’s also where my Pilates classes are held. We have everything you need to get fit in one place. Because you need to find us easily, please note the following location and transport information. The Studio, Kingsway Court, First Avenue Hove, BN3 2LR. We’re just off the seafront. 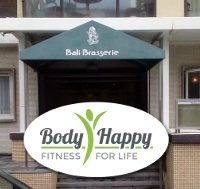 You’ll find us when you see the sign for The Bali Brasserie. Buses run frequently. Second Avenue is the nearest bus stop near the Body Happy studio. It’s just a short 2-minute walk. Head towards the sea front on Second Avenue. You’ll be here in no time. There’s plenty of low cost metered parking around the studio. Pay cash at the machines, dial 01273 458 458 to pay by phone. Or, download the Brighton and Hove Pay by Phone app to your smart phone or tablet. Better still, why not walk? A bracing, brisk march along the sea front will set you up for your work out. There’s everything you need to work out – and more. rollers, TRXs and stability balls. As much as you may like our gizmos and gadgets, there’s plenty of room for stretching and other exercises on comfortable, supportive floor mats. 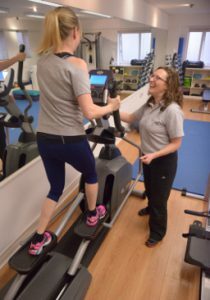 In addition, there’s also a stationary bike, rowing machine and a cross trainer, so you’ll be able to work on your cardio fitness and HIT (high interval training). Finally, if you’d prefer to get changed at the studio, there’s a fully equipped private changing room and bathroom with a WC. In addition, there’s a shower, which is of course free to use if you wish to freshen up after your work out. While personal training may seem out of your reach, we can assure you that it’s really, really, not.